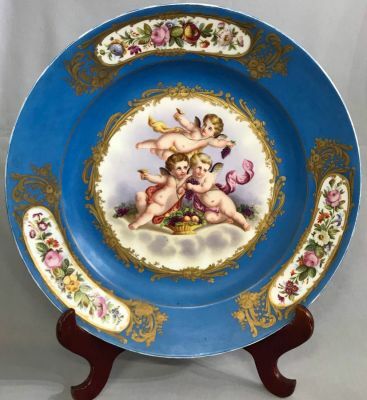 Continental porcelain charger with a French Blue ground, painted and gilded by hand. Continental European origin, circa 1870. 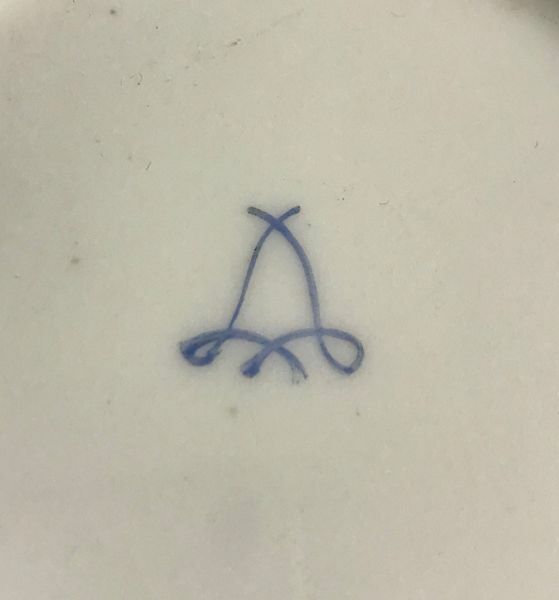 There is a Sevres style mark on the back. 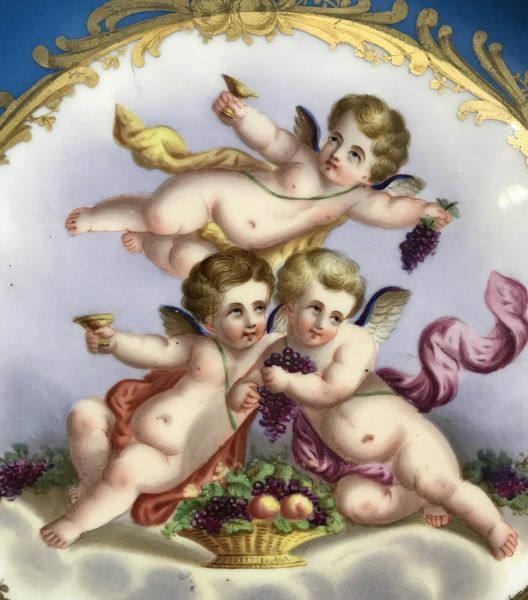 The central panel is of putti enjoying wine, grapes and fruit, symbolizing abundance. All three of the side panels are different and depict a wide range of flowers in bloom. 15 1/2” diameter, 2 1/4” deep.